A lot has changed for US poker since the boom years a decade ago. You will still find a thriving ecosystem of US friendly online poker sites – most of them are based out in the Caribbean. On those island states, gambling is regulated and fully legal. In fact the governments actively defend their rights to accept players from anywhere in the world through organizations like the WTO. As long as you are prepared to be flexible with your deposit and withdrawal methods – you can play online poker from the US no problem at all. The best US friendly poker sites, with the pros and cons of each room covered. A quick guide to payments covering both deposits and withdrawals. An overview of the legal situation (which is different to how many players imagine) and note on the regulated in-state sites. Sports Bettors Keep the Poker Games Easy! Sit N Crush + The Beast Promos Worth Checking! Before getting to the list of the current US poker rooms, I should note some recent changes. The biggest single poker site is Ignition Poker - which is also very new. Ignition took over from Bovada in the fall - instantly becoming the biggest US site. Everything is the same, the games, the software and the tournament schedule... I fully expect 'business as usual' and (since 3rd party sites were not allowed to promote Bovada Poker) I will look forward to covering them in more detail. Other changes, include Carbon Poker (Merge) dropping off if the list completely. BetOnline has been a big brand in offshore sports betting for US players for more than 10 years now and are based in Panama. Over the last couple of years they expanded operations to include a casino and a poker site. The poker is based on the Chico Network, which has grown to be the 2nd biggest US online poker room in 2019. The emphasis is on real money cash game poker, with the tournament side developing more slowly. First, the recreational player model (anonymous games, 4 tables max, tools restrictions) is still in place, which keeps the games entertaining and profitable. Second, Bovada must have been planning the sale for a while, since there were not too many moves / new innovations or promos with the poker room. With the room in new hands, the marketing and development might well start again. This site has a history going back even further than BetOnline’s. Starting in 2001, America’s Cardroom more recently took over from Doyle’s Room and joined the Winning Poker Network. Tournaments are a strong point at ‘ACR’, this site host the biggest US friendly online tournaments you will find anywhere. These include the regular $1 million guaranteed events and the ‘Online Super Series’ mini-festivals. You can win seats in the bigger buy-in games via qualifiers. While there are a lot of cash games and sit n go tournaments too, these are a little tougher to beat than the equivalent games at other sites. The reason is leaderboard promos (called ‘the beast’ and ‘sit n crush’) which reward high volume of play. As a result you will find a lot of break even or small winner type players grinding 8+ tables to make some cash… obviously having several nits at each table is not the best for overall game dynamics! Having said that the games are still beatable for those players with some strategy knowledge and discipline. If you enjoy online poker tournaments, then ACR is an easy top pick. Check out www.americascardroom.eu for the latest events! The equity network showed a lot of promise a couple of years ago, though has not really managed to live up to the initial hopes. By having the sites own the network (software and back end systems) it was hoped that some of the costs normally given as profit to the network would be returned to players in the form of lower fees and bigger benefits. A couple of years down the road and this is still a very small player pool, which does not appear to be fighting hard for further share. At the moment I am recommending a ‘wait and see’ policy for HTG readers. A former star of the US online poker sites world, which has now disappeared. At one point Carbon Poker were my top rec, with excellent software, big rewards and tournament events that put other sites in the shade. They have given up the ghost by the looks of things and the promos, variety and events have all but gone – along with most of their players. A shame to see such a good site fade away. This site has the potential to move onwards and upwards, with Intertops recently allowing US players again after a gap of many years. This brand has 15 years of history (2 casinos and a well-known sportsbook are the main features). A combination of their trusted brand name and cross over players from the sports / casino areas will have given the Revolution Network a boost. I have high hopes that 2019 will see this site grow big enough to run guaranteed prize tournaments and bigger promos – which could well kick-start their rise up through the rankings. I'm not holding my breath though! Check out the latest player specials at www.intertops.eu! Getting your money onboard is the single biggest factor when it comes to enjoying the thriving offshore poker sites from the US. With the banking system trying to block your transactions, some creativity is often needed to get that money through. Withdrawals are actually easier, with paper checks being the usual method (these are accepted by banks). International Credit Card Transactions: Visa and MasterCard (and sometimes Amex) are prevented from depositing at gambling sites domestically, though as long as they are able to make international purchases they can still be used. Success depends on payment gateways operated by the sites. With the biggest sites above you will get your money through first time surprisingly often. BitCoin Deposits: This used to be a niche method, though in 2019 it is now mainstream. Once you set up a BitCoin wallet and fund it via your bank, you can use that wallet to deposit on most of the poker sites. You can also use alternative currencies including Bitcoin Cash, Ethereum and others. Money Transfer Options: Primarily this is Western Union and MoneyGram. These services will not allow direct transactions with gambling sites, so you’ll wire cash to a named individual who collects on behalf of the sites. This is a reliable enough method, though it does mean you’ll need to visit your local branch office. 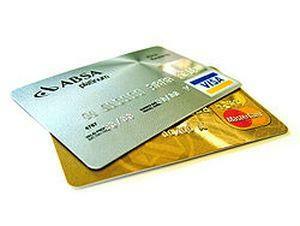 PrePaid Card / Voucher Options: This deposit method changes frequently as types of prepaid Visa or vouchers come and go. I recommend you contact your site, then head to your local convenience store to pick up a card. As a final note on payments, I strongly recommend that you take advantage of the knowledge and experience of the sites themselves. In order to exist, they have to be ninjas when it comes to payments! Make sure you call or text chat with them and find out what easy methods are available to you. There are some State laws which prohibit online poker, though no individual has ever been indicted for simply playing real money games. The law which is often referred to is the UIGEA, which stands for ‘Unlawful Internet Gambling Enforcement Act’ and was passed in 2006. Press at the time stated that it made online poker illegal. This is wrong. All it does is make banks transacting with gambling sites illegal. Not individuals, banks and financial institutions are the target. In fact, there is no mention at all of individual players breaking any laws by enjoying games for real money! Some states have allowed real money online poker sites to operate within their borders. These include New Jersey (currently the biggest player pool), Nevada and Delaware. These sites are set up as partnerships between the international operators and local casinos. A great example is 888 Poker New Jersey. 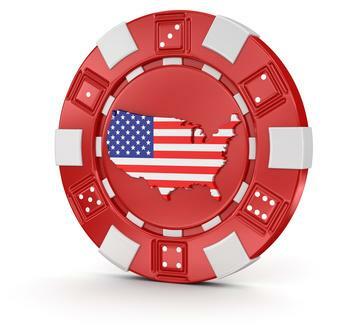 While it is hoped that other States will join them soon and open their own US poker rooms, there has not been too much movement in this direction lately. While the big tournaments at ACR are a real attraction, the games there overall have more grinders and lower stakes nits than at other sites. For this reason I’m recommending the super soft games full of regular / recreational gamblers that you will find at BetOnline. I love the innovation at BetOnline – as well as the many promotions which cover all of the different gambling verticals. Check out www.betonline.ag for yourself now!